I normally have a post every now and then called my backyard birds. This time though I was photographing birds, but in my parents backyard on the lake. 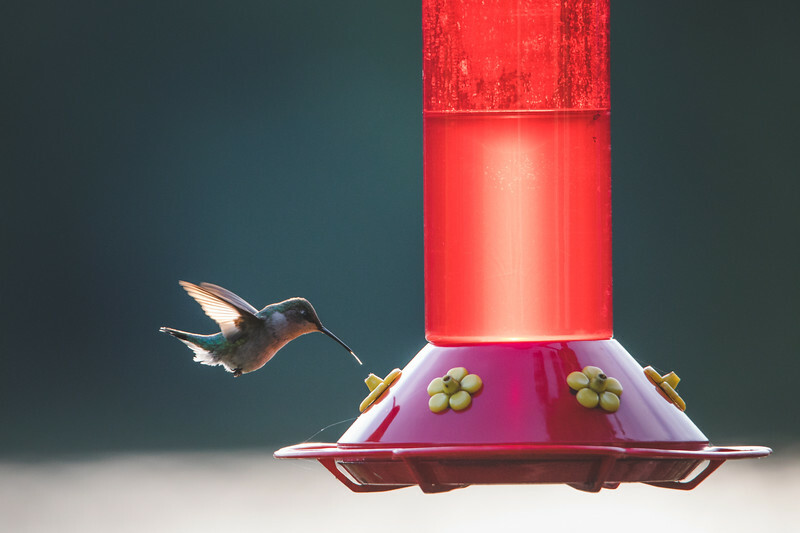 With a hummingbird feeder that gets a lot of action setting a remote up and getting a shot at the feeder is no problem. I think that is cheating a bit so after a while I tried for something more. I really wanted to try and capture something a little more unpredictable. Here I was a bit too far away, but it was still fun trying capture a moment with the hummingbird away from the feeder. With an entire lake full of possibilities it is pretty incredible that I was lucky enough to be as close as I was here. As I said above if the feeder is being used regularly then it is easy to get shots at the feeder. I set my camera up on a tripod and used my Pocket Wizards to fire it remotely. These are cool shots to get though as you can record a little behavior this way. 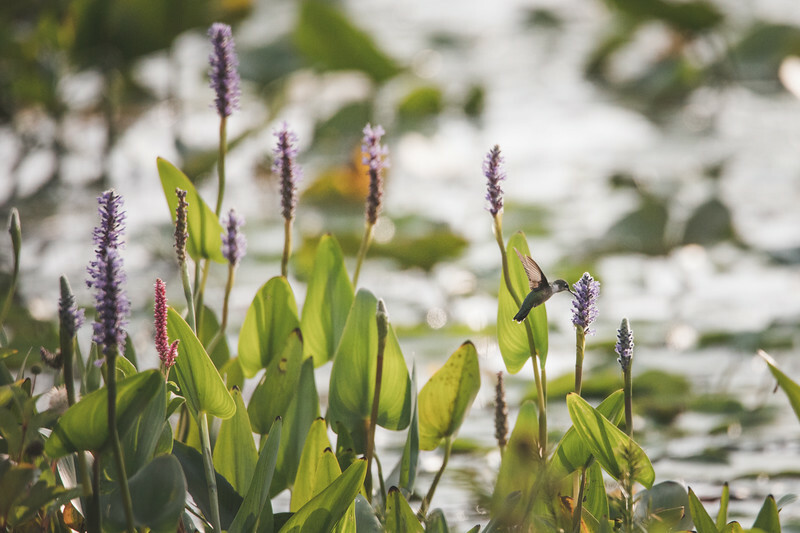 The hummingbird is so fast that capturing a split second in time allows you to see a little more than you normally would see. Beautiful image, freezing this beauty and even sunbird is always a tough job. In wishlist since long.